Hello, fellow Herders! As some of you have pointed out, we had issues with playback for those streaming rather than downloading our episodes. We looked into the issue and decided to pull an Alderaan on our old media hosting. Our new host is as beautiful and secure as Hosnian Prime, so stream us all you like! We know we’re perfectly safe now. Okay, seriously though: our shows are now hosted on Spreaker, which should be much more reliable and probably improve the audio quality a bit as well. 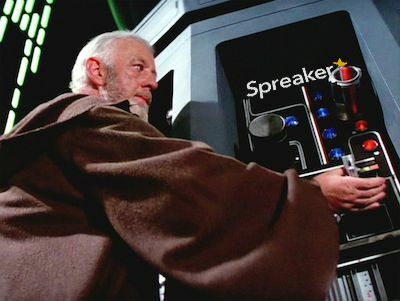 You don’t have to do anything, your feed should start pulling from Spreaker automatically. If you have any more issues while listening, please let us know: info@nerfherdercouncil.com, Facebook, Twitter… you know how to reach us! Be on the lookout for the latest episode of The Nerfherder Council, coming this Sunday! New shows are released every two weeks (at least), Sundays at 4:00pm EST.